From Monday to Sunday, weekly menu to enjoy the richest and most varied food in Peru . Throughout Peru, Arequipa has become well known for its gastronomy, since it is one of the cities with more variety and flavor in that country. It is said that more than 190 typical dishes have been registered in the state. The food from Arequipa is a mix between rural Andean and Spanish cuisine , using natural products from its coast and mountains. 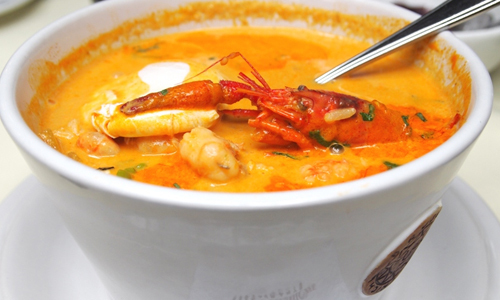 The main characteristic of these dishes is undoubtedly the strength of their flavors and the constant use of river shrimp and rocoto, which is a kind of big chili that looks like red pepper with a very spicy flavor. This food is served in traditional restaurants called picanterías . WEDNESDAY : The pebre. Poultry, chuño (which is like cornstarch) and beans. THURSDAY : The timpusca. Variant of the sancochado (soup based on meat, tubers and vegetables) that includes cecina and cabbages. 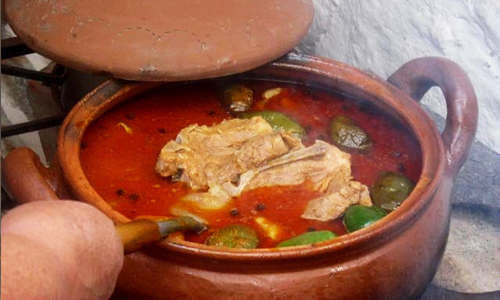 FRIDAY : The chupe de camarones (this thick soup famous in Peru). SATURDAY : The lamb belly rachi (like the one with the little but white). SUNDAY : The white or loin broth. If you intend to get to know Peru, you should not miss your Arequipa list and try some of these delicious and famous dishes that stand out in the Andean region. Therefore, I bring you a gastronomic sample of this country with a recipe from Arequipa , which is ideal for this cold and rainy climate that we are living in a large part of the country, replacing it with Mexican ingredients that are much easier to find. • 1 kg of medium potatoes. • 1 bunch of coriander. • 1 chile serrano, without seeds. • 2 sweet peppers, without seeds. • 3 ears of corn cut in two parts. • 1 large can of corn in grains. • 1 can of cream. • 3 cups of chicken broth (or 2 cubes of chicken broth). -Preparate the vegetables and put them to cook with the chicken and the broth, when the chicken is soft remove it and crumble it, reserve the ears of corn. -Remove the vegetables with little broth and liquefy them, along with a quarter of the grain corn. -Incorporate the chicken and the vegetables liquefied in the broth, add the potatoes in cubes and the rest of the corn can. – Allow to reduce, replacing the lost liquid if necessary, when the potatoes are soft remove the pot from the heat and add the contents of the cream can. – Serve in a clay dish with a piece of corn in each one, accompanying it with two tablespoons of cubes of white cheese. What other suggestion would you like to have? If you still want to know more about this type of typical dishes that are also very rich, I invite you to visit fitrate Travel Blog .